Governor Eric Greitens, in partnership with the Delta Regional Authority (DRA) announced that the City of Malden will receive more than $150,000 to help recover from a tornado that hit the city in February. 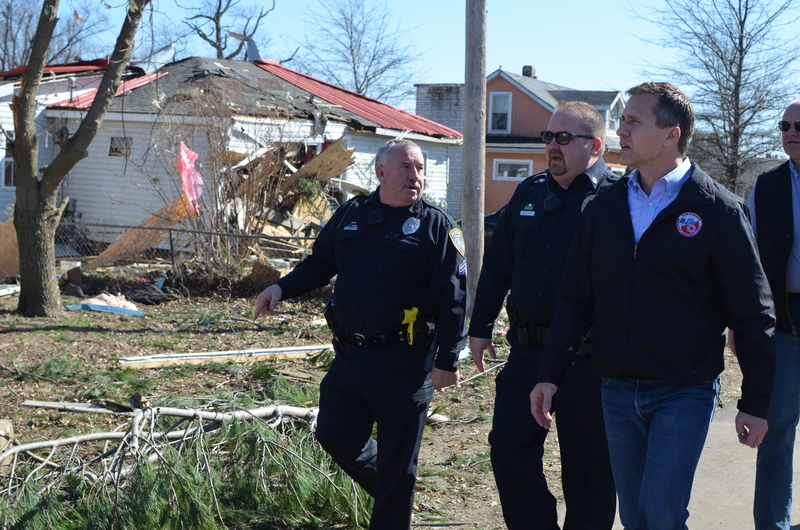 Governor Greitens visited Malden earlier this year to visit those impacted by the devastating tornado. He thanked first responders and others working to recover. The Delta Regional Authority approved $75,000 in funding which will be used to help Malden rebuild their municipal electric system including electric poles and cables, labor, equipment, and purchase of a backup generator. In addition, the Bootheel Regional Planning Commission worked with the city to submit an Emergency Community Development Block Grant application through which the Missouri Department of Economic Development approved $79,250. This funding assistance will help with debris removal and the initial electrical line repair. “We appreciate funding from DRA and state, who understood how important it is for us to take care of our community first in our recovery efforts,” Malden Mayor Denton Kooyman said.